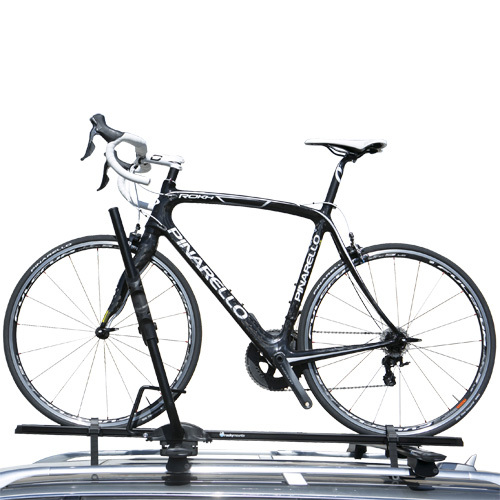 RockyMounts JetLine Bike Rack Bicycle Carriers are the new standard in fork mount bike carriers compatible with Thule square and Yakima round crossbars, as well as slotted aero bars: RockyMounts Ouray, Thule Aeroblades, Yakima JetStream, Whispbar, Audi, BMW, Mini, Volvo and VW crossbars. 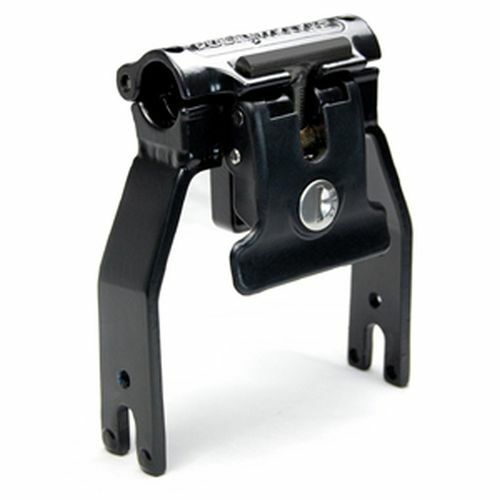 The aluminum construction in both the head and tray provides a sleek, lower profile design that is compatible with disc brakes. 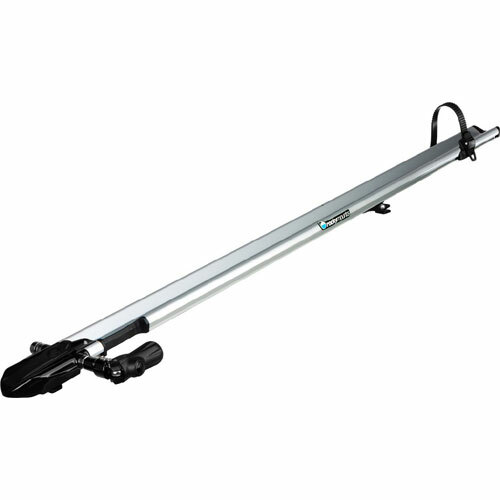 The JetLine tubular tray design is about 45" long and includes a stainless steel, long-throw, lockable quick release skewer that provides excellent security and durability. 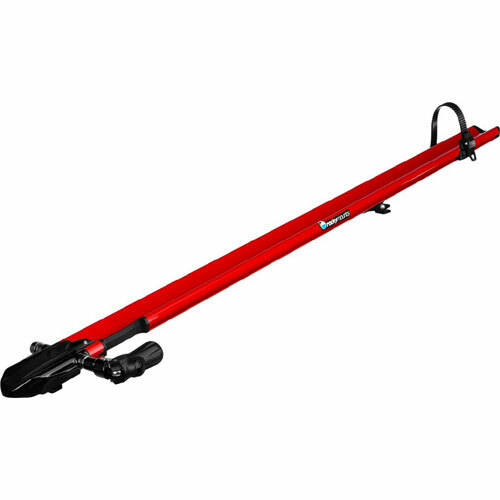 The rear bike tire is secured by a composite nylon ratchet strap that adjusts to fit skinny road tires and up to a 2.7" mountain bike tire. 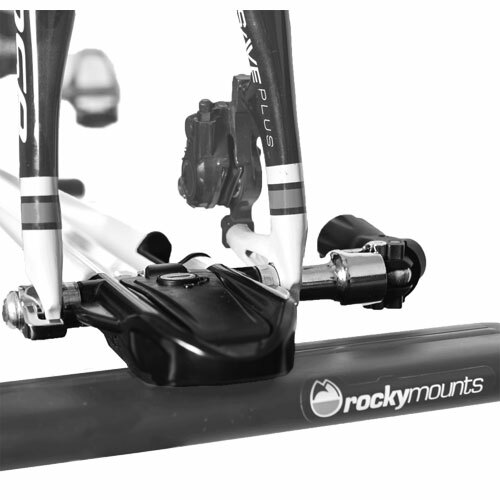 The RockyMounts JetLine Bike Rack comes complete with all mounting hardware for quick and easy installation. 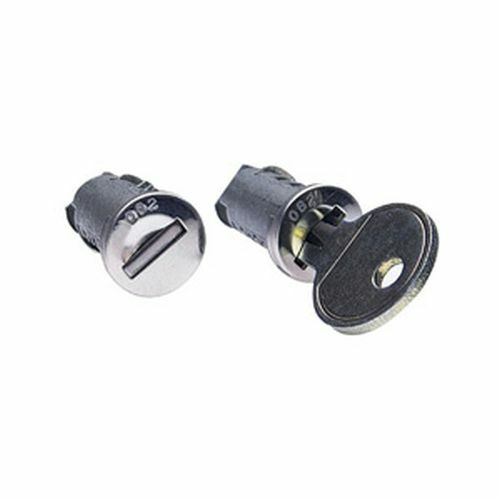 Lock cores are sold separately (requires a 2 pack - see below). Available in four colors: Black, Silver, Red, White. "I purchased one of these racks to mount on my Thule Aeroblade crossbars on my 3s BMW. 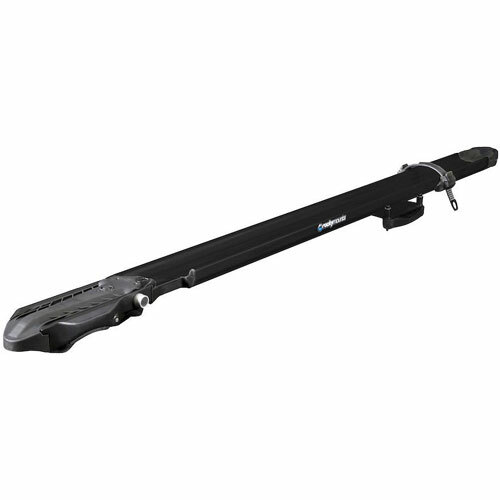 This is by far the sleekest bike carrier I have used. Its very low profile and quiet. 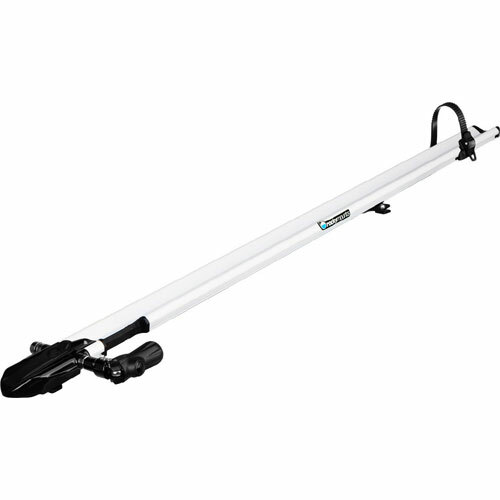 In the past Thule racks have made a whistling noise that was unbearable. 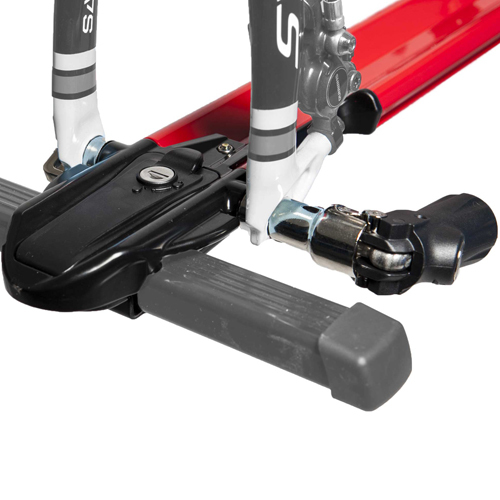 I am using this for a road bike and haven't had any issues. I will be purchasing another Jetline very soon.